The Bumbo chair appeared on my radar in the last 10 years. It seems to me that the manufacturer has solved a problem that does not truly exist. Get a good high chair, or use a well-designed booster seat that can sit on the floor. If your child has motor delays, this chair is going to prevent the use of the correct musculature to gain independent sitting. Whoops! The Bumbo seems to appeal to parents who want their young infant to sit upright for meals or play as soon as possible. The company’s website does a great job of listing all the benefits of propping up a child who is unable to sit by himself. They are not helping you. They are selling you a product. If you have a 4-6 month old child who is unable to sit by himself, then congratulations. You have a typically developing child. Make sure your child is spending time lying on his stomach reaching for toys and in your lap learning to balance. Use a high chair that allows you to angle the back to the point at which your child doesn’t fall too far to one side, and use it for short periods at meals and play. Meals at this age are fairly quick and most children want to be free to move. If you have a 7-10 month old who is unable to sit and reach for toys by himself, then this chair will not assist your child. Using it frequently, instead of building the skills he needs, will probably slow his progress and certainly will not speed up development. It might make him happier if he is frustrated, and might temporarily minimize your concern that he is not developing on schedule. 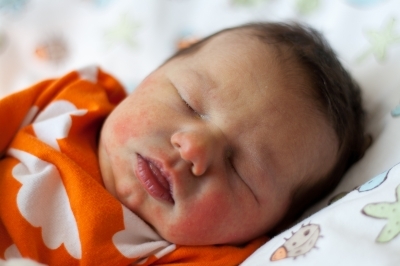 Your pediatrician can review his progress with you if you are concerned. If your child is not able to roll over, and struggles or avoids balancing on your lap at this age, then you may want to carefully review his development with your pediatrician. By this age, those skills should be well established. All the discussions on the web fall into 2 camps. The first will be families that are certain that this device helped them feed and play with their children, and state that their children loved the chair. Then you have pediatric therapists who, without exception, warn that the position does not promote mature posture and limits the amount of time that a baby can spend in positions that build skills. 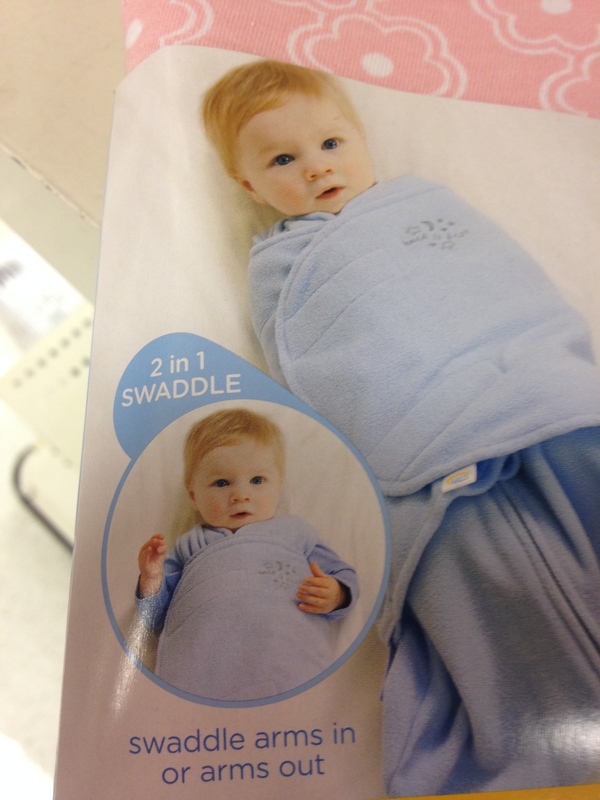 A Product That Doesn’t Position Your Baby for Success! suggests that this chair is not better than a well-designed high chair. It is probably less safe than a good high chair, and suggests less supervision is needed. The opposite is true. 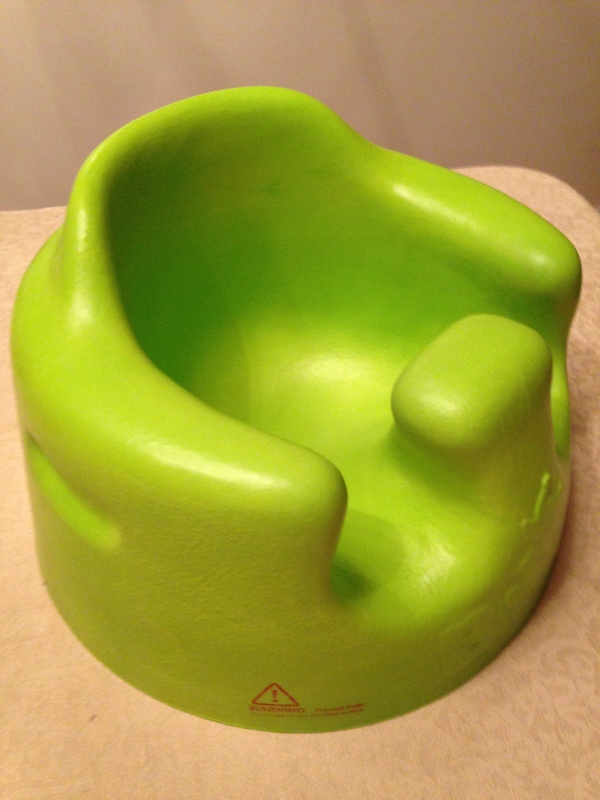 Use the Bumbo with the knowledge that is is not solving a problem for your child, and may be creating one. This entry was posted in child safety, occupational therapy, parenting, toy/equipment review and tagged baby seat safety, bumbo, infant development on June 28, 2014 by Tranquil Babies. One of my favorite toys for 2-4 year olds is a perfect summer travel item. 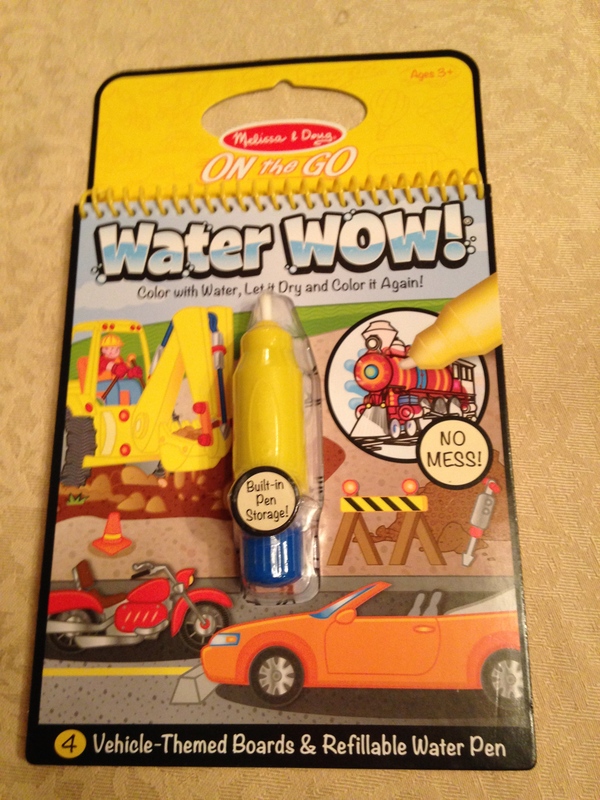 Melissa and Doug’s Water Wow series is a ring-bound set of 4 pages with a refillable plastic pen with a brush tip. Fill the base with water, twist the top on, and scribble as the water reveals colors and hidden items on the pages. The size of the pen is just about right to encourage a three or four-finger grasp. Etched lines in the top add traction if fingers get wet. It is the crafty toddler that can figure out how to open the pen, so spills are almost eliminated. Hint: don’t let them see you lock it into position. Divert and distract! The pages are large enough to include some fun themes, in a range from construction to animals. There are also number and letter books. They dry quickly and are reusable for many, many hours of fun. Some children have scratched the pages in frustration, as the brushes take a minute or two to start releasing the water from the wick inside the top. My current suggestion: have your toddler shake it up and down for a while. They will be having too much fun to get bored or frustrated. The result? Happy toddlers and clean scribbling that can be repeated all vacation long! no mess and great pre-writing activity on the go! This entry was posted in handwriting, occupational therapy, parenting, toddlers, toy/equipment review and tagged handwriting, pencil grasp, preschoolers on June 17, 2014 by Tranquil Babies. The WSJ recently ran a terrific article, “Roughhousing Lessons From Dad”, on the deeper benefits of dads hanging out and physically playing with their kids. Boys or girls, the benefits of having a father that plays with his kids seems quite obvious. This article reminds us that what starts out as a pick-up game during half-time is really a learning opportunity for children. The father that throws his baby up in the air while the baby screams in delight (and a lot of moms cringe) is creating a teaching moment. Apparently learning to do risky things, follow the rules when playing rough, and taking turns being the one in charge are lessons that last a lifetime. The WSJ article did mention that mothers can and have provided this kind of play, but even though I know many athletic and risk-taking mothers, I have seen very few really embrace the type of play that comes so naturally to dads. Our children just light up when their fathers play wrestle with them, and research supports it. As an occupational therapist, I recommend this kind of play for children with sensory processing issues. The ability to practice moving and balancing, getting excited about moving and managing that excitement is so valuable. Having all that fun while practicing those skills is, like the ads say, priceless. Here’s to the unique ways that fathers enrich their children’s lives! 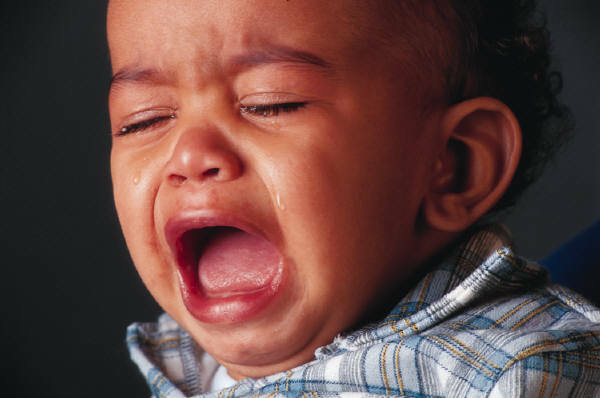 This entry was posted in parenting, research, toddlers and tagged father's role in development, sensory processing play on June 15, 2014 by Tranquil Babies.